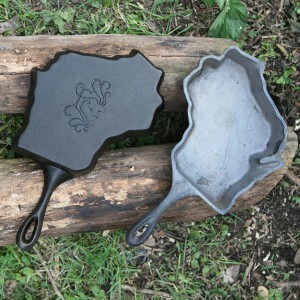 Cast iron, however, is a living member to your cookware arsenal. 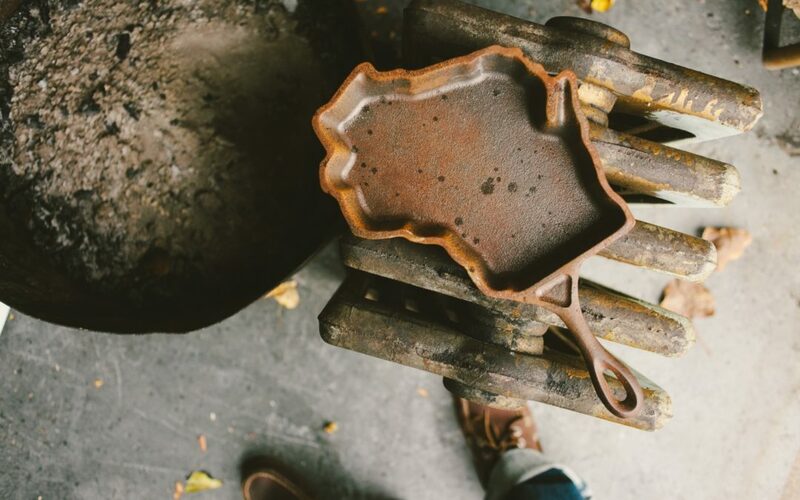 It periodically needs a little maintenance to help keep its non-stick, well-seasoned properties in good working condition so that it will out-live all of us, plus a few generations. 1) WIPE IT OUT. Wipe the excess oil & food particles out with a paper towel. 2) WASH IT UP. Hand rinse the inside with warm water only, and a cloth. 3) DRY IT OFF. Towel dry and put over heat for a minute or two. 4) OIL IT ON. Drizzle a teeny-bit of oil into the pan, spread it everywhere with a paper towel leaving only a very thin film of oil. It will feel like you’re taking the oil off of the pan again. 5) BURN IT IN. Allow the oil to reach its smoke point over a burner or hot plate for another minute or two- make sure you turn on your kitchen fan, open a window or get whatever ventilation you can. 6) COOL IT DOWN. Turn off the heat and allow the pan to naturally cool down slowly. For really tough jobs, try this: Fill the pan with water, bring to a boil, let it cool enough to touch and try to scrape off the loosed / softened crud with a plastic scrape tool or soft scrub pad to get it clean. If most of you seasoning is still there, follow the Care and Maintenance routine above. If you can see bare grey metal, you will need to re-season the pan again.